Unless you’re a strict Pringles devotee, every potato chip you eat doesn’t have to look perfect. Hell, by the time you reach the bottom of most bags, half the chips are smashed to bits anyway. That’s one reason the idea for a new brand of chips called Uglies is so intriguing: A Pennsylvania-based company has started making these chips from potatoes that would otherwise be rejected and discarded. The result is one of the most delicious ways out there to fight food waste. According to Food Navigator USA, Uglies launched in about 130 stores in the Pennsylvania area just a few weeks ago, but has already gotten plenty of attention from a media that has become more and more interested in ideas that fight the global food waste problem. “The response has been incredible, lots of local media have picked up on it, lots of local papers—so we’re excited! We didn’t envision it would get this much excitement,” said Dwight Zimmerman, VP of business development at Dieffenbach’s, the parent company behind the new brand. However, this story comes with an intriguing twist: Dieffernbach’s has actually been making chips from rejected potatoes for decades, instead simply selling them as discount chips in a plain bag. “It’s always been a well-known item in the area here, people buy them because they're good, but we always pushed our premium product,” Zimmerman told Food Navigator. However, last May, the company suddenly realized it may have an unutilized marketing angle on its hands. “One day we realized, you know what, people love the product, and there are so many of these potatoes out there,” Zimmerman continued. The company came up with the name, the story and the eye-catching packaging, and Uglies were born – currently sold in Original Sea Salt, Mesquite BBQ, and Salt & Vinegar varieties. And the amount of waste Uglies can combat could be substantial. In just these first few weeks, the company says it’s already “saved” around 100,000 pounds of potatoes. The hope is to eventually take the brand nationwide and save even more spuds. 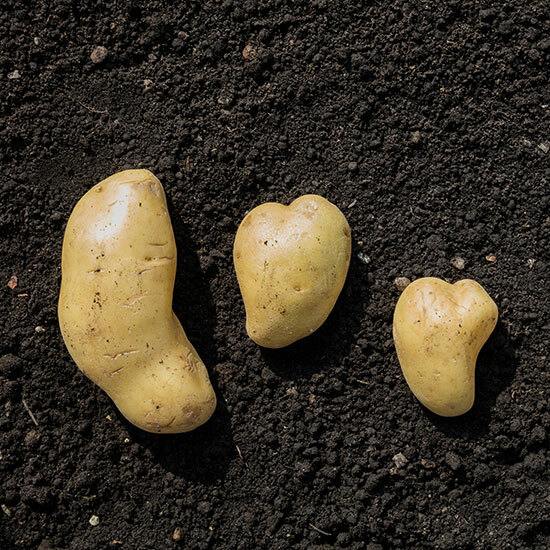 “That would be our goal, if we could go out there and say ‘Hey farmers, if you have a load of good potatoes with minor imperfections, we’ll take them,’” Zimmerman explained. And importantly, Uglies are still sold at a discounted price, a dollar or two less than Dieffernbach’s premium brand. The new venture seems like a win-win for everyone… with the possible exception of all those stuck up perfect looking potatoes.